Somehow spring is just not ready to pop it’s pretty head in on the east coast here. We have had numerous snow storms. Plenty of skiing. Worn our down coats to death. And winter just keeps hanging on. It’s the end of April here and I think it snowed last week. It’s been so cold that my bees didn’t make it. 🙁 For those that don’t know, this was my first year at attempting to be a beekeeper. Apparently they had food in the hive but were too cold to leave their cluster to get it. So so sad. Poor cold bees. Poor cold me! I haven’t been feeling like leaving my cluster much lately either so I decided to try and fake it till I make it. 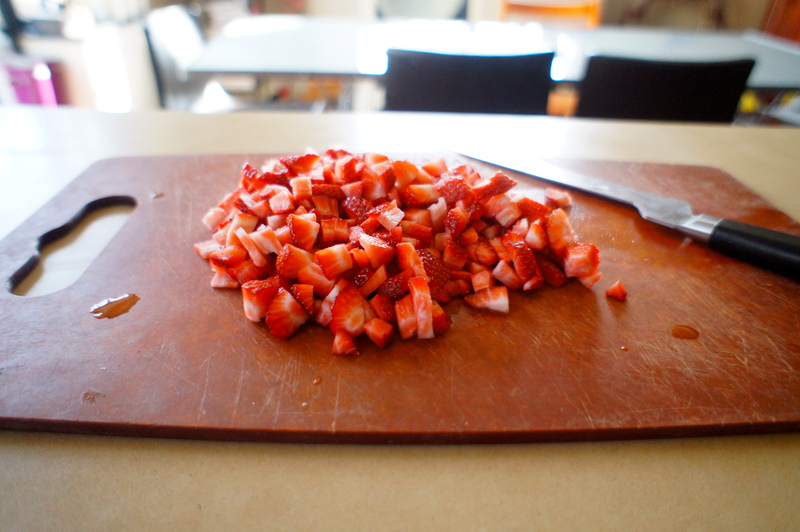 I’m making fresh strawberry cake because what’s says summer more than a bowl of strawberries?? 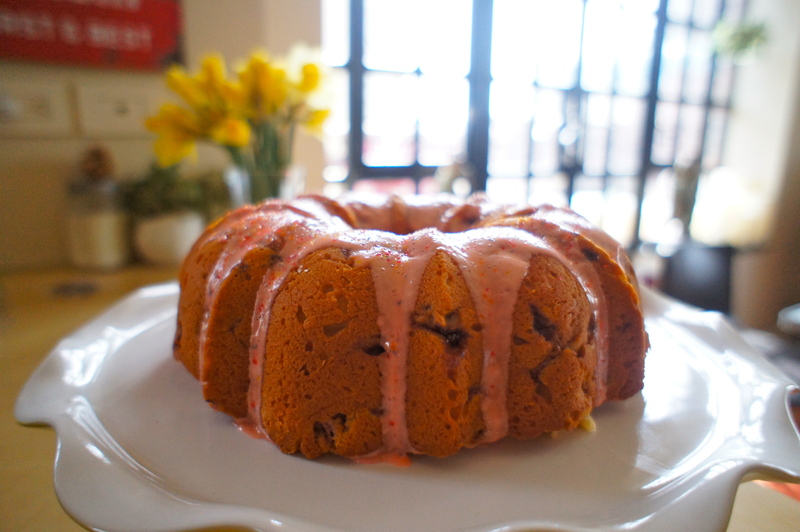 Preheat oven to 375 degrees Fahrenheit and prepare a 10-inch Bundt cake pan with grease and flour. Mix together the flour, baking soda, and salt and set aside. 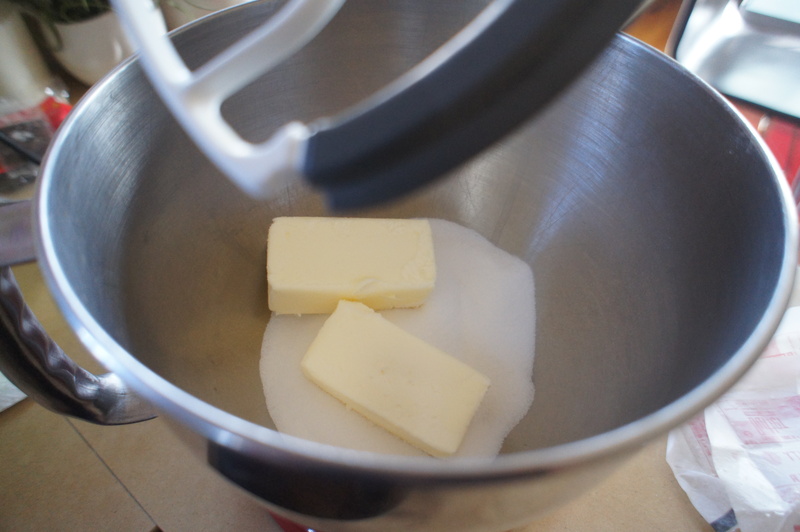 With an electric mixer on medium high, beat together the butter and sugar until light and fluffy. Add lemon juice and eggs one at a time beating well after each addition. 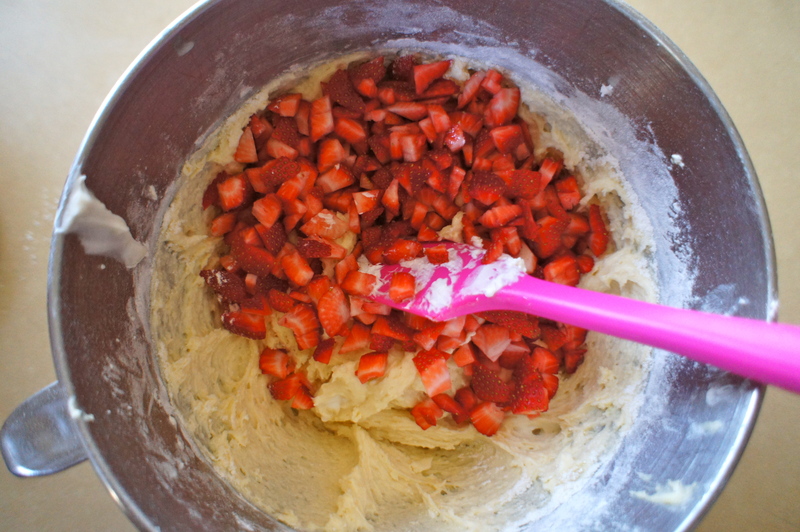 Alternately add the dry ingredients and yogurt to the creamed mixture beginning and ending with the dry ingredients. 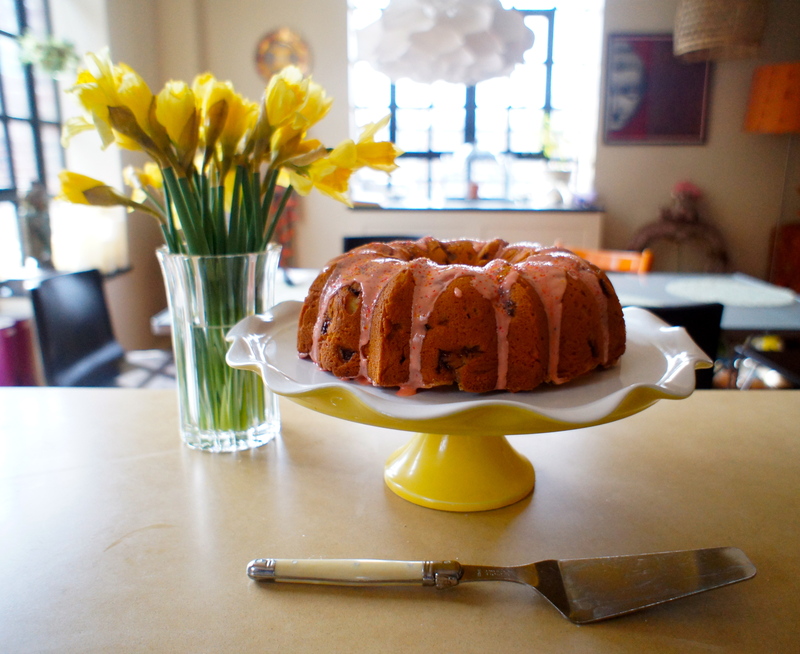 Pour the batter into prepared Bundt pan. Reduce the oven to 325 degrees Fahrenheit and bake for 60 minutes or until a toothpick inserted in the center comes out clean. 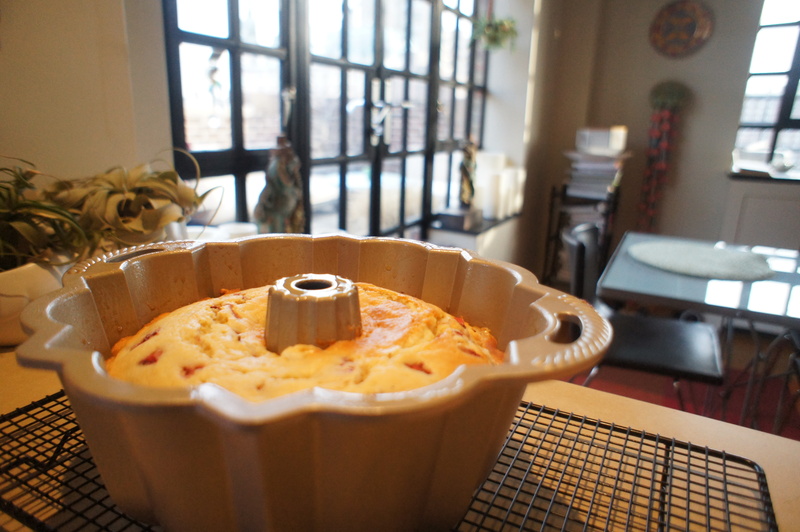 Remove from oven and allow to slightly cool before turning out onto a wire rack to cool completely. 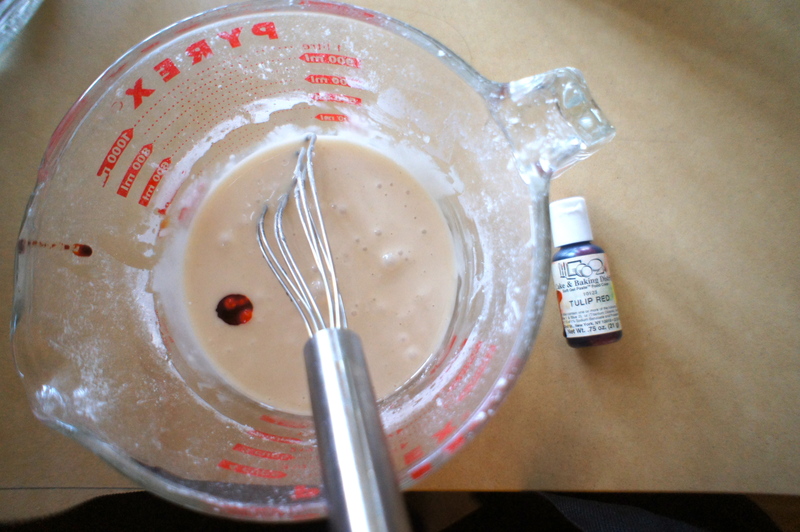 Mix powdered sugar and lemon juice together with a drop of color and drizzle over.